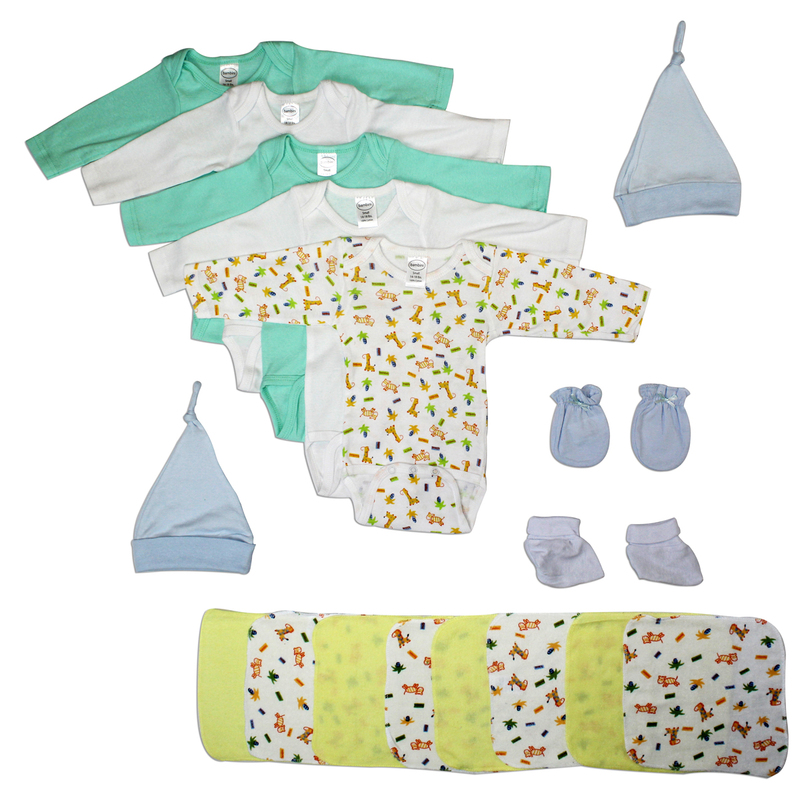 Bambini layette set perfect for any newborn baby made from soft and cozy cotton baby clothes keeping the little ones comfortable. This set makes the perfect baby shower present for any soon-to-be momma! NOTE: Patterns shown are for illustration purposes only. You may receive a different pattern in the color you select.